QAR 445 including 12 QAR shipping. First things first, our price prediction: nearly every flagship phone, be it a Samsung, LG or Apple phone, is released at around 2,400 to 2,600 QAR. Our best bet for the price of the Galaxy S6 in Qatar will therefore be QAR 2500 /SAR (~5200 EGP). On the first day of its launch in the Qatar however, we expect stores to price it a premium, possibly more than QAR 3000 /SAR (~6200 EGP) , but within a week prices should cool down as the phone becomes more widespread. The next big thing from Samsung, the Samsung Galaxy S6 is here. After disappointing us with the Galaxy S5 in 2014, the flagship device is back with a completely new design and attractive design. 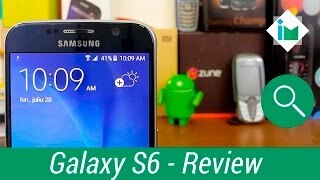 The company tried to focus on what went wrong with the Samsung Galaxy S5 and made up for it with the Galaxy S6. 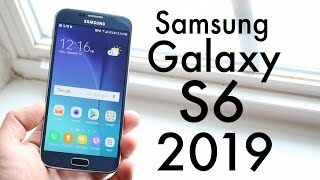 Continue reading to know more about the Samsung Galaxy S6 Qatar price, specs, release date and more. The Samsung Galaxy S6 is definitely one of the best looking phone of 2015. It’s completely designed from scratch and looks really, really attractive. The front part still looks similar to most of the Samsung smartphones, but the back side is a completely different story. There no faux leather or plastic back cover anymore and the phone is made of materials that feels premium. Both the front and back part is now covered with Gorilla Glass 4, and the side parts are made of aluminum which might remind you of the iPhone 6 Plus. You can check out the iPhone 6 and iPhone 6 Plus here or wait for the Samsung Galaxy S6 Qatar price to show up. Unlike the design part, there is no change in the screen size of the Samsung Galaxy S6. The phone features the same 5.1-inches display. However, the Super AMOLED 5.1-inches display now shows 2560x1440 resolution and a stunning 577ppi of pixel density which means really sharp display. The phone will be sporting Exynos 7420 processor which includes a combination of Cortex-A53 Quad-core 1.5GHz and Cortex-A57 Quad-core 2.1GHz CPU. It will be accompanied by 3GB of RAM and users get three different storage options: 32, 64 and 128GB. However, there is no microSD card slot. You can either start waiting for the Samsung Galaxy S6 release date Qatar or check out the HTC One M9 or the Lenovo Vibe X3 which are also coming in March, 2015. Megapixel wise, the rear camera of the Samsung Galaxy S6 remains the same 16-megapixel one. However, the image quality is really improved and now the camera includes a sensor with an F-Stop of f/1.9. It will take a user only 0.7 seconds to open the camera and start taking picture even when the phone is locked. The front camera has been also improved to a 5-megapixel one which supports auto HDR, dual video call and capturing videos at 1080p while the rear cam supports capturing 2160p videos. Like the Samsung Galaxy S5, the successor includes Fingerprint Sensor and heart rate monitor. There is also a new feature called Samsung Pay which allow users to make payments easily. You can also check out the Samsung Galaxy Note 4 for great camera or wait for the Lenovo Vibe Shot. 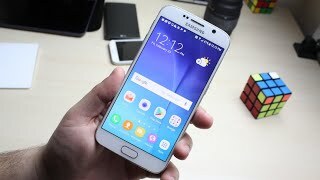 It will be also a great idea to wait for the Samsung Galaxy S6 release date Qatar. The battery of the Samsung Galaxy S6 is a non-removable Li-Ion 2550mAh one which is slightly a disappointment from it's predecessor's 2800mAh battery. The Samsung Galaxy S6 will be unveiled in March, 2015 at the MWC event. 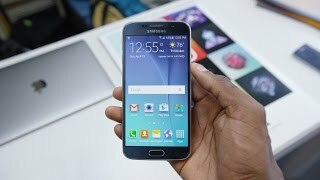 We are hoping to see the Samsung Galaxy S6 release date Qatar in sometimes April after it’s official release on April 10. Every time a new smartphone appears in the Samsung Galaxy S lineup, we prepare ourselves to see something amazing. 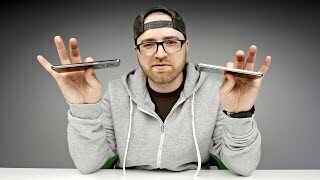 The Samsung Galaxy S5 failed to impress us if we compare it with the Galaxy S4. However, multiple reports suggest that the company is planning to create the next smartphone in the Galaxy S lineup from scratch and offer a completely redesigned version. A recent screenshot leak from the benchmarking site AnTuTu is believed to be showing some core features of the upcoming flagship device. Continue reading to learn more about the Samsung Galaxy S6 Qatar price, specs and release date. According to multiple reports, Samsung is planning to reinvent its upcoming Galaxy S smartphone and create a design from scratch. The leaked screen from the benchmarking site didn’t reveal anything about the new design. However, we can expect to see something similar to the Samsung Galaxy Alpha. The metallic design of the new Alpha lineup looks nice and Samsung might follow this pattern in their upcoming flagship device. It’s safe to say that the upcoming smartphone will feel more premium with a complete redesign. The Galaxy S6 titled as SM-G925F is assumed to feature a big 5.5-inch screen according to the leaked screenshot. The Galaxy S5 features a 5.1-inch screen which means it’s quite a big jump for the Galaxy S6. The bigger screen will be featuring a bigger QHD resolution with 2560 x 1440 pixels. The smartphone will be packing an Octa-core Exynos processor 64-bit, 3GB of RAM and ARM Mali-T760 GPU. The model number suggests that it’s the European version of the upcoming smartphone, which means there is a possibility that others regions might see a different processor. If you were planning to buy a new smartphone, you can definitely keep this in your list for its cool features and keep an eye out for the Samsung Galaxy S6 release date Qatar. The Samsung Galaxy S6 is expected to feature an improved 20-megapixel rear camera. The camera featured in the Samsung Galaxy S5 is quite good, so it will be interesting to see how the improved 20-megapixel works. The 2-megapixel rear camera is also expected to be replaced by a 5-megapixel one. There was no dedicated camera key in the Galaxy S5 so we are expecting to see one in the upcoming flagship device. Samsung is known for following a cycle when it comes to release date or price tags. 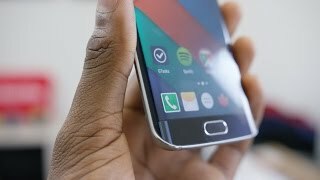 In 2014, Samsung unveiled the Galaxy S5 in February at the Mobile World Congress and then released it in April, 2014. So, if everything goes according to the same plan, we can expect to see the device in February. The Samsung Galaxy S6 release date Qatar will be in March as the launch cycle suggests. 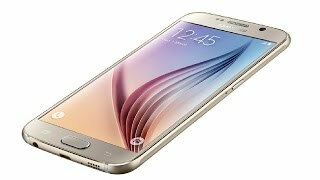 The leaked reports didn’t reveal anything about the price yet but the Samsung Galaxy S6 Qatar price is expected to be around $1000. That’s all we have learned about the Samsung Galaxy S6 so far. 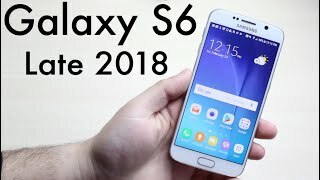 Everything is based on rumors and speculations at this stage so we have to wait for the Samsung Galaxy S6 release date Qatar or official announcement to confirm these things. Price has increased 118% from QAR 550 on 2019-04-06 to QAR 1200 today.